Congratulations to the Graduating Class of 2019. 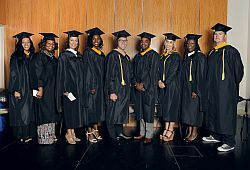 All of us at Touro University Worldwide commend you on the hard work and determination that lead you to this great achievement. 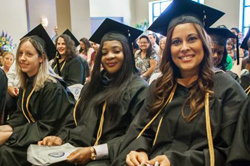 We also look forward to celebrating with you at the 7th Annual Touro University Worldwide Commencement Ceremonies. In order to attend the Commencement Ceremonies of 2019 as a graduating student, you will need to apply for graduation through the Registrar’s Office when you are enrolled in your last course of the program and RSVP for the commencement ceremony with your name and number of guests. 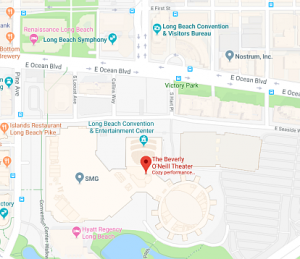 RSVPS for the Commencement Ceremonies of 2019 are now being accepted. Students eligible to participate will receive correspondence via email when it is time to RSVP. 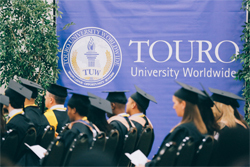 To ensure you do not miss any emails regarding the Commencement Ceremonies, please add graduation@tuw.edu to your email address book. 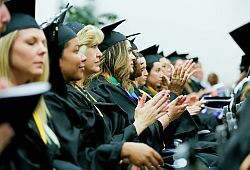 Please review all of your Commencement Resources on this page to prepare for your big day! *Both an application for graduation and RSVP for the commencement ceremony must be received in order for you to participate in the 2019 Commencement activities. **Submission of an application for graduation will not serve as a substitution for RSVP of attendance or participation in the 2019 Commencement activities. *** Doctoral Students: Only students who have successfully defended their completed dissertation and have been approved by the Provost may be considered for participation in the commencement ceremony. (This does not mean only the proposal defense). The graduation of the PsyD student is based on completion and defense of the entire and final dissertation. The Dissertation has to be completed and defended no later than Spring I 2019. Have any additional graduation photos that you would like to include on our page?